One of the best ways to assess a river’s ecosystem health is to survey its biodiversity and the abundance of its animal life. 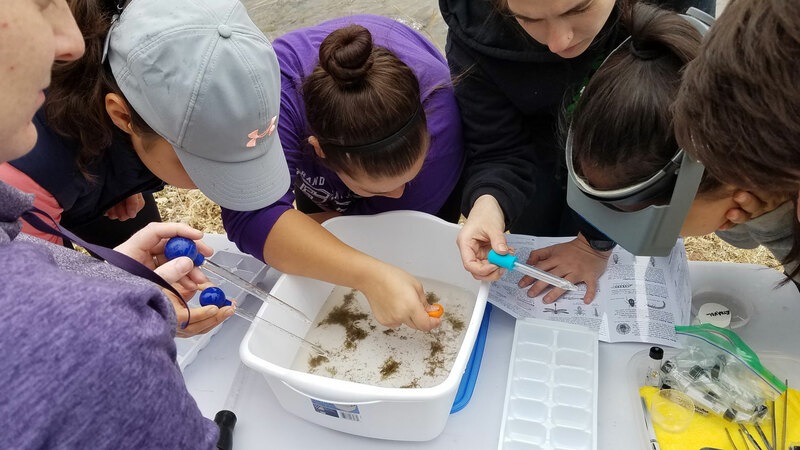 The best way to make this assessment is to sample the aquatic macroinvertebrates – the small insects, worms, and larvae that inhabit the river – by gathering representative samples and analyzing them. Macroinvertebrates form the foundation of the “pyramid of life” in the Verde River because they indicate the overall diversity and abundance of their food sources and in turn they supply important food for all the lifeforms above them in the food chain, like birds, larger insects, mammals, amphibians and reptiles. 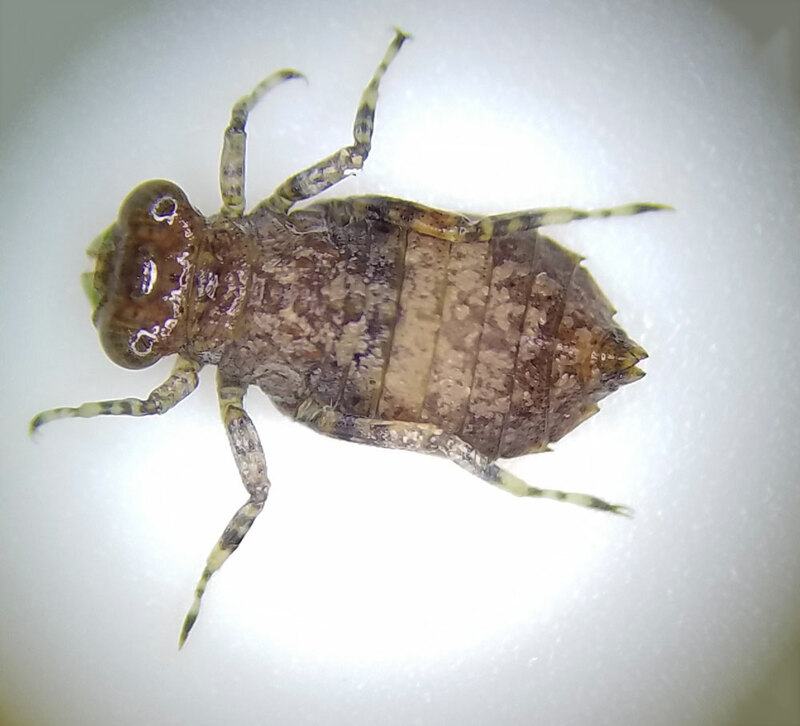 If you have a lot of macroinvertebrates in the river, they will support lots of other lives! But it’s also important to understand just which “bugs” you have in the river. Some, like the “EPT” species (Mayflies, Caddisflies, Stoneflies) as well as Dobsonflies and a few others, indicate good water quality with low pollution. That’s because they don’t tolerate pollutants in the water and they need good supplies of clean food and plenty of oxygen. Other bugs, like blackfly larvae, flatworms, and others, are more tolerant of pollutants, some even preferring distressed water. 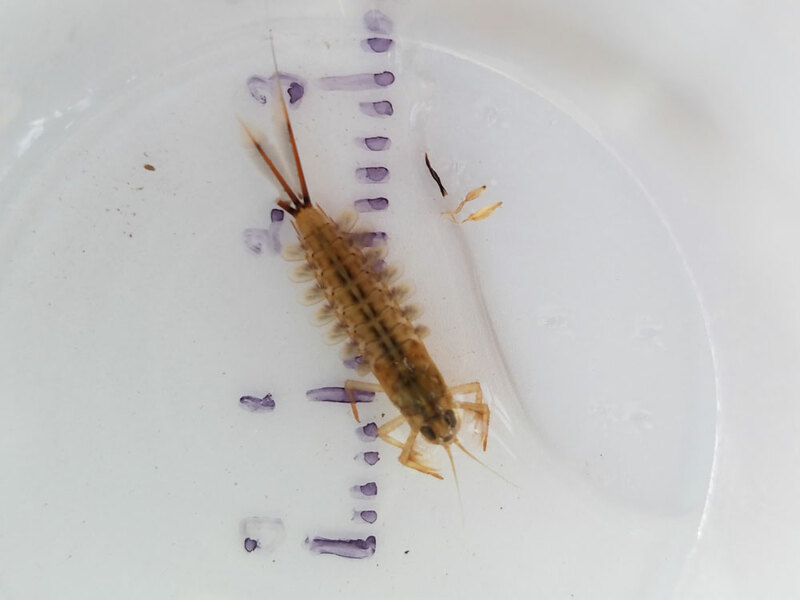 One of the metrics used to assess a rivers health is the ratio of the “good” aquatic macroinvertebrates to the “bad” ones. The Verde River Institute is has begun these studies, and we will be expanding them to include more sites and by engaging more “citizen scientists” to do the surveys. Study sites will include representative areas along the river through the Verde Valley, with special emphasis on areas of concern, where pollution or other factors indicate distress. The teams taking the samples and making the assessments will be comprised of citizen scientists – people who want to make a difference in the Verde’s health by getting their feet wet! Each team will have a coordinator and will be comprised of a group of volunteers who can sample their designated site once or twice a month throughout the year. Together, their accumulated data will help us understand where and when the river is healthy, or where it needs some loving care. To help with this project, just write to us at mailto:macros@verderiverinstitute.org. You’ll be matched up with others like you who want to make a difference. If you have a group already and you’d like to help, we’d love to put you all to work! We’ll supply all the gear – nets, buckets, magnifiers, tables, etc. – and the training you’ll need to identify your critters and gather meaningful science! Here’s a great way to get started: Download the “Aqua Bugs” app from the Playstore or iTunes and go out and look under a few river rocks. You’ll be amazed at how much life hangs out there, and the app will give you an easy and intuitive way to identify what you’ve found. Come out and help by writing to us today!